Enter your email address (opt in) to subscribe to this blog and receive notifications of new posts by email. 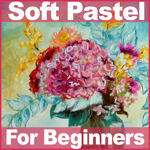 Learn to paint loose florals with me! 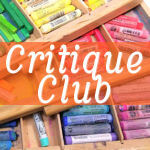 My Mixed Media Craftsy Class! 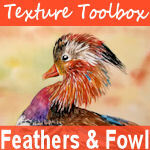 Awesome software for your die-cutter! If I am making cards for women or nobody in particular I tend to reach for pinks and peaches and feminine motifs but for some crazy reason when I make cards for guys I try different stuff but you know, I would like to be on the receiving end of cards like this too so instead of calling them “masculine” cards I’ll call them cards for everyone! 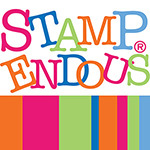 I used a couple of stamp sets by Stampin up I’ve had in my stash for a while but have never used (oh the shame and yet sadly the fate of too many of my stamp sets) and I went to town with stamps and inks and mists! 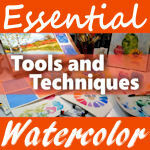 Watch the video to see the full tutorials including the beautiful backgrounds I ended up covering. Which one was your favorite? To be honest the shells were really annoying me, I had a hard time lining them up and I didn’t love the results. The lighthouse stamp set was a lot of fun and I will use it again many times. I love a set I made make a quick card with! I hope you enjoyed this and til next time happy crafting! Edited to add the final painting. I like the additional palm trees and beach umbrella. How about you? Have a great weekend! Hi friends! Were back this week with a fun summery beach painting that will take your mind off winter! You can watch the live broadcast or reply in the player below but if you want to chat live with fellow painters or ask me questions be sure to watch on the YouTube watch page. 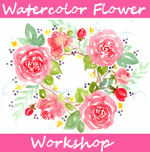 New March Collection of artwork in the shop! These are original paintings you have seen me paint on YouTube or in classes. They are only available this month on a first come first served basis. Prices start at $45 (because I think everyone should be able to afford original art if they want) and USA shipping is free! 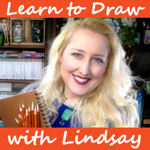 I hope to see you for a free live painting class at 12:30pm Eastern Time on YouTube today, til them happy crafting! Sometimes Sunshine is the BEST Medicine! Today I have a vloggy haul video. I had some requests to do a birthday haul so I decided to share the crafty gifts I received! I want to thank you for following my blog, in the video I mentioned a friend who’s crafty channel was terminated wrongfully and thank goodness she got it back last night. 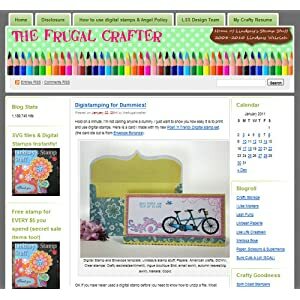 I would hate to lose contact with my crafty peeps and subscribing to my blog (which you probably are since you are reading this, if not there is a box in the upper left hand sidebar of this page) and my email newsletter (which I only send if there is something new and extra exciting!) I am so relieved that my friend got her channel back but it really makes you worry about your livelihood when you make online videos for a living but even worse would be to lose all the connections with your artsy community. Thank you so much for being a part of this community and sharing part of your day with me, til next time happy crafting! Wanna have a pool party? Or a cookout, luau, or beach bash? If you are thinking of having a Summertime shin-dig check out the new Beach Party kit from Lindsay’s Stamp Stuff. You get 9 printable 8.5″x11″ sheets of summery goodness including a double-sided invitation/envelope (I call it an invite-a-lope) and it saves paper and postage because the invite and the envelope are one, just print the invite-a-lope front, insert the paper into the printer again and print the invite-a-lope back. It’s easy! How about cupcake wrappers that look like beach pails, FUN! I frosted my cupcakes with peanut butter frosting to gat the color of sand but (and I with I though of this before I took the photo) you can crush graham crackers and sprinkle them on top for a realistic, yet yummy, beach sand look! I cut a toothpick in half and glued it to the bottom of the shovel before inserting it into the cupcake. And you can make a cute bottle cap necklace with the 1″ party circles included in the set. You can print them on sticker paper too for cute envelope seals and water bottle toppers too! Water (to drink) is essential to a day at the beach so this kit has waterbottle labels, just write the guest’s name on the label so drinks are not mixed up! Thanks for stopping by and till next time happy crafting! Wow, I just realized that summer vacation is just 2 months away! Wow, where did the year go!?! Last summer was awesome weather-wise, we went swimming almost every day and I actually (gasp) had a tan! I’m hoping for another warm sunny summer again this year and while I was on this train of thought I came up with the new Summer Fun SVG & Printable template set! Last weekend I bought bubbles for my kids and I snapped a few pics of them playing outside with them…oh yes, I feel a scrapbook page coming on! Bubble bottle and Bubble wand paper piecing die cut. Happy Sunshine with sunglasses layered die cut. The SVG files have been tested in Sure Cuts a Lot (SCAL), Make the Cut (MTC), and Fairycut software and will work with your Cricut TM and other compatible die cutters with the above software. You get the entire Summer Fun set for $5! Thanks for Stopping by and til next time happy crafting! Happy Memorial Day! 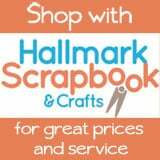 I hope you are having a safe holiday weekend (in the States) and enjoying a long weekend:) While you are relaxing be sure to swing by Lindsay’s Stamp Stuff at MyGrafico to save 30% off storewide! This card would be great for birthday, father’s day or any occasion. I have a hard time making cards for guys but I think this can work equally well for a man or a woman, just add a sentiment and you are done! Thanks for stopping by and be sure to stop by Lindsay’s Stamp Stuff, the sale is over midnight tonight! Til next time happy crafting! 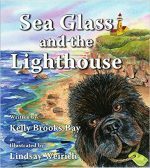 Check out the book I illustrated! A Wreath Around a Word & Recycling Your Cards! Sketching Orange Slices in Marker!